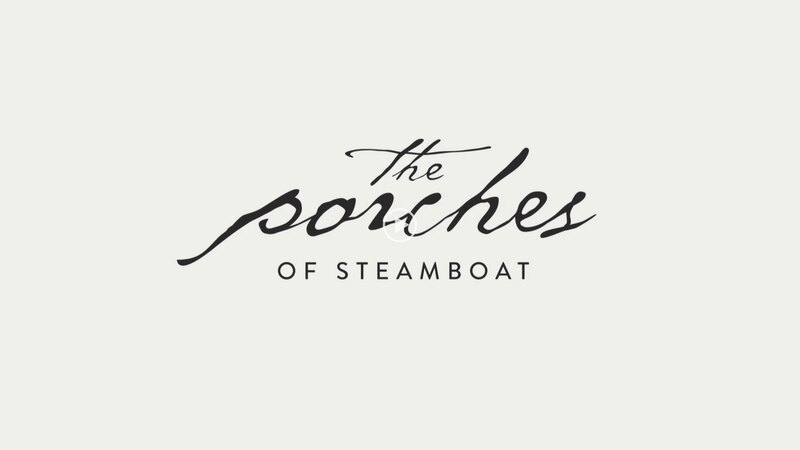 The Porches residences are some of the most spectacular and impeccably crafted homes ever built in Steamboat Springs. The interiors feature hand-hewn beams and hand-distressed floors, which blend seamlessly with the finest cabinetry, granite counter tops, and luxury finishes. Custom ranch stone fireplaces and generous outdoor living spaces contribute to the overall sense of enduring quality and mountain ambiance. All the Fractional / Private Residence Club homes are furnished with the same care and attention to detail that goes into construction. From the down-filled couches to the top-end billiards tables in each residence, everything is of the finest quality and built to last for many generations to come. The exteriors at The Porches pay homage to the great western legacy of Steamboat Springs. With varied exterior materials including natural color palates, stains, and corrugated metal, the entire project has a distinctly natural and classic appearance. Not only do the exteriors of our luxury homes for sale look beautiful, they are also specifically designed for the rigors of the Steamboat climate in both summer and winter. Other features of the residences include double car garages, professional kitchens, air conditioning, air cleaning and humidifying systems, Pella brand professional grade windows, and, of course, comfortable and inviting porches. Mountain Meadow Preserve was founded by partners and co-developers Bruce Shugart and Shane Evans. This team had a distinct vision to create an exclusive community in Steamboat that had the essence of a true neighborhood, the finest amenities and the benefit of a prime location with spacious homes that emphasize quality craftsmanship, materials and design all at The Porches. The founding team boasts decades of real estate experience including building and designing high-end custom homes in Aspen, Vail, Snowmass Village and other mountain communities. Structural Associates Company, exclusive builder of The Porches, has been building custom homes since 1982. Throughout that time they have consistently fulfilled the company’s mission to offer the highest quality custom homes and unparalleled levels of service well beyond initial construction. Pinnacle Resort Management was founded as the exclusive management company for The Porches. Over the last decade they have developed a culture dedicated to outstanding customer service and providing guests and owners with an authentic Porches experience. The Porches was built to allow families to gather under one roof and truly enjoy their time together. The staff at The Porches helps to make that experience the best it can possibly be.